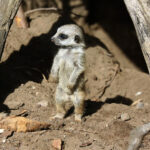 One of my favorite child psychotherapy cases is that of the “Meerkat Boy.” He was only 4 ½ years old. His father had mentioned to his own therapist that the child had rarely (if ever) spoken, was reclusive, and was defecating in the corners of rooms. The therapist recommended that the child be evaluated. Hence, my first meeting with the boy. The child entered my office alone, apparently uninterested in having his parents join him. His skittish movements reminded me of a Meerkat, on the lookout for danger but nevertheless engrossed in exploring his environment. He moved through the room quickly and with curiosity, gently opening and poking through drawers. What was he searching for? Suddenly, he stood straight up and beamed a broad, excited smile. He had found a treasure! He swung around and motioned for me to sit down in a nearby chair, positioning me so my face was at his level. He was about to share his treasure with me! He held out a roll of transparent tape. What next? He gently approached me, but no longer with caution. He took my head and began to wrap it in the tape. Should I stop him? Should I be using this as an educational opportunity to teach him about boundaries? Should I insist that he put into words what he was demonstrating in action? The next 10 minutes were painfully long as I wrestled with how to be most helpful to him. But we’d only just met… So I said nothing. And, with both care and determination, he wrapped my head until the entire roll of tape was gone. I soon came to know that he was not on the Autism Spectrum or struggling with intellectual developmental delays, as others outside his family had suspected. The boy was a bright and curious child, coping with extraordinarily odd and intellectually disabled, although well-meaning, parents. 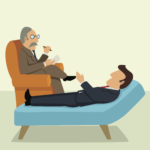 His parents, after all, had not recognized anything unusual about his lack of language and odd behaviors, but had willingly brought him for therapy when this was suggested by a professional. In meeting with the child’s mother, I learned that she also had some unusual interests that challenged normal boundaries. (“I wish I could do this to Mommy!”—that is, containing her with tape.) Whenever a family member used the bathroom, she would call all others to view the “product” before flushing. She had also removed all bathroom doors, purportedly due to a fear that her son might drown if allowed to be alone in the bathroom. The child’s preference to defecate privately in the corners of rooms now made sense to me. When his need for some privacy was explained to her as developmentally appropriate, she willingly returned the doors and stopped calling for audiences. He responded positively. With my encouragement, she also enrolled him in a nearby preschool. Teachers responded to his intelligence and curiosity, and he thrived. More clues to his concerns about boundaries came with his first “show and tell” at school. Children were to bring something from home to share with the class. The day before the event, the boy came bounding into my office, both excited and anxious, to show me what his mother had prepared for the event. He pulled a clear plastic bag from his pocket and laid it on the ottoman. The baggie revealed a multi-year supply of cotton swabs dripping in ear wax. He announced that his mother had been saving it from before he was born. I worked hard to maintain my composure (and breakfast) and agreed that this was indeed something the other kids might find really interesting. Knowing though that some children (and the teacher) might not respond positively, I wondered out loud whether he might want to take something a little less unusual for this first share. His body language showed great relief and he proceeded to explore my office for something he could take instead. He decided on some paper clips, which he linked together into a long chain. I passed the change in plans on to his mother and, although confused that there could be potential controversy, she complied. The linked paper clips also appeared to gain special meaning for the child, as thereafter he would ask if he could take two for his pocket whenever there was to be a break between our sessions. I have had the great fortune to work with this young man periodically through the years, as various issues have arisen for him. I’m so glad that I’d chosen to observe and listen.